When you think of an exhaust system with issues, do you only think of the old beaters that bang and clunk along the road? While that is a sign that an exhaust system is failing, there are a number of other indicators that give it away before the extreme nature of backfiring. Ranging anywhere from dramatically reduced fuel efficiency to smelling fumes inside the cabin of the vehicle through your Cabin Air Filter, your exhaust system is much more than just a muffler and tailpipe. The exhaust system in your Nissan helps to reduce noise, keep pollution to a minimum and carry potentially noxious fumes such as carbon monoxide away from you and your passengers and turns them into safer gas alternatives. Starting with the exhaust manifold and cylinder heads, gas is collected from the combusting components of your engine. From there, these gases are passed through oxygen sensors before being filtered through to the catalytic converter. The catalytic converter then turns these gases into water vapor before lastly being expelled by the muffler, which also helps mute the sounds of combustion. Most commonly, rust and corrosion along the exhaust system are to blame for any reduced functionality. When your exhaust system in your Nissan is working properly, you can expect a smoother, quieter and cleaner ride. Scheduling an exhaust system service today with our factory trained technicians will ensure that smoother, quieter and cleaner ride. Here at Lang Nissan of Mission Bay, we are committed to helping to keep your Nissan running safely and properly for years to come. 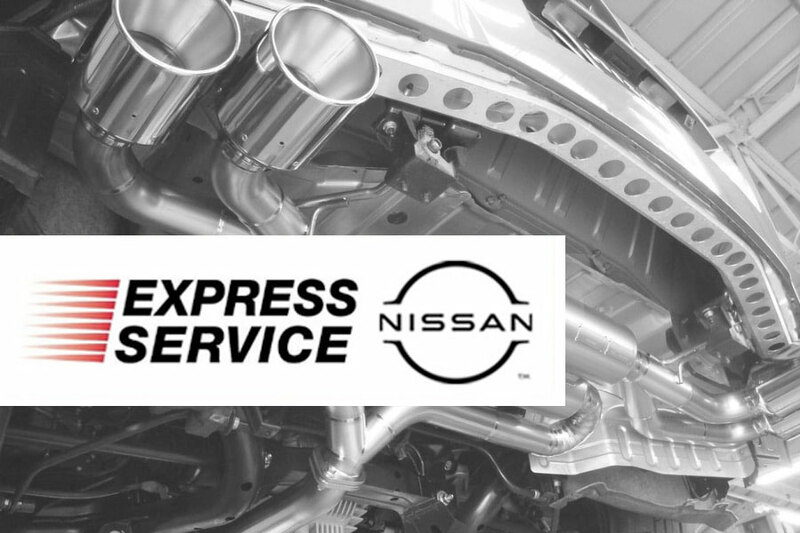 During the Nissan Exhaust System Service, you can expect our Certified Nissan Technician to inspect every component of your exhaust system to ensure that you and those around you are safe and comfortable. You can always count on genuine OEM parts to be used on your Nissan, just as you can always expect a top-notch Express Service Department and knowledgeable service advisors there to keep you informed every step of the way!